What is a language, Lewis asked. “In spoken language, it’s the letters of the alphabet that join together to form words, then paragraphs. And finally stories and jokes,” he answered his own question. The mark of fluency? Maybe not what you think. “Telling a story is not the most important part. It’s telling the joke,” he said. The conference had reserved this informal session for those who’d submitted portfolios in the Austin Society of Children’s Book Writers and Illustrators (SCBWI) 2013 Conference, Kick it Up a Notch. In this same conference room at St. Edward’s University the year before, the group had listened to Senior Art Director Patty Ann Harris of Little, Brown Publishers. The year before that, illustrator, designer and SCBWI advisory board member David Diaz had huddled with the illustrators. 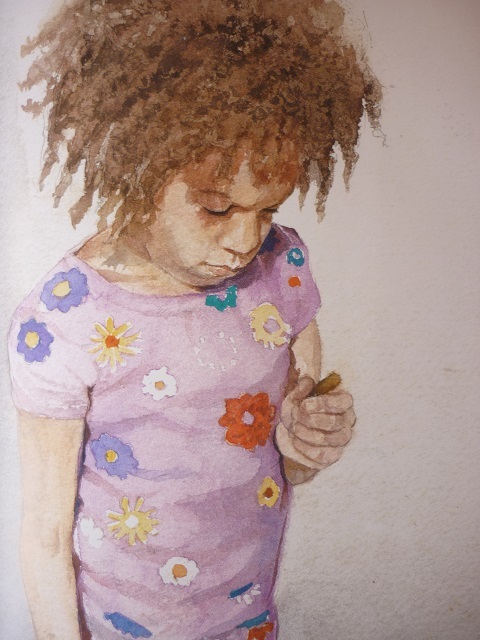 Now it was Lewis, one of the finest watercolor artists in the U.S. and an illustrator since 1992 with 58 picture books and many awards to his credit, including a Caldecott Honor and the Coretta Scott King Award. A few hours before he’d delivered the conference keynote address. 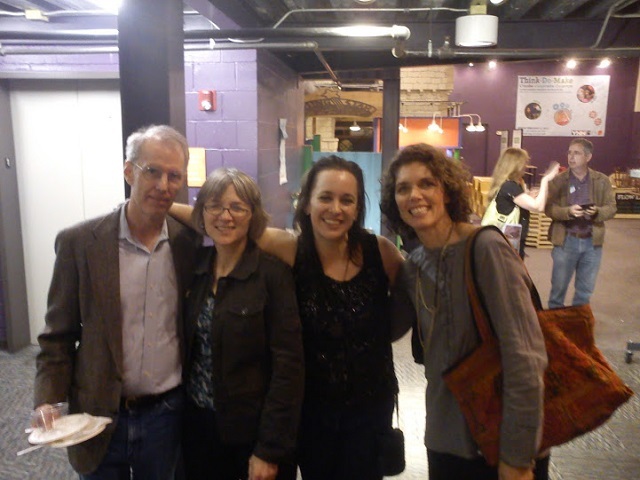 Now he was hunkered down with his art colleagues, discussing…hmmm, of all things, languages. 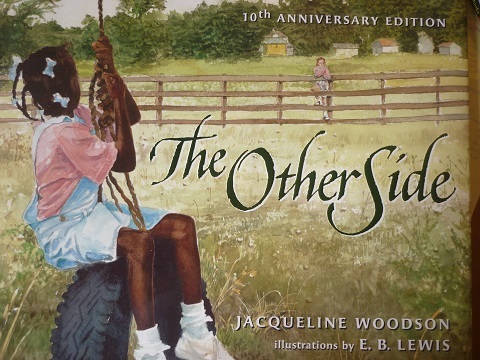 The Caldecott Honor winning “The Other Side” by Jacqueline Woodson, illustrated by E.B. Lewis. So what was the basic building piece or element of a work of visual art, he asked the gang. “For writing, it’s the word. For music, it’s the note, right? For dance, it’s the step,” he said. “For drawing, it’s the the stroke. A painting is a string of strokes. With these building blocks, basic units there’s a thought process that takes place, right? Fluency in a language demands practicing what you love, investing those requisite 10,000 hours into your craft — even if it’s at the price of sleep, Lewis said. 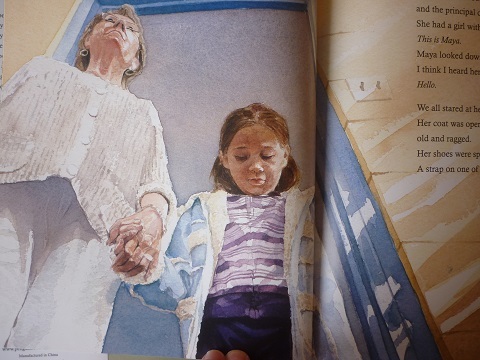 For illustrators fluency means knowing your story characters — their thoughts and sensations, “nuances and small movements,” he added. “Take your characters to lunch. Research your scenes. Immerse yourself in your subject and dig in the dirt until you can smell it. 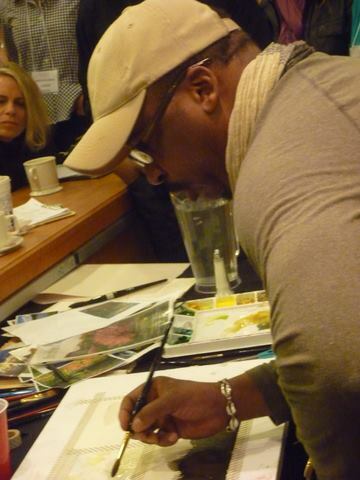 At a special workshop session on Sunday, after the conference he was pressed to demonstrate his watercolor technique, off the cuff and handed paints, a palette and some magazine photos for ideas. That’s what you’re seeing in the videos. Sorry I couldn’t get in closer. I didn’t want to disrupt him or the attendees packed 360 degrees around him. 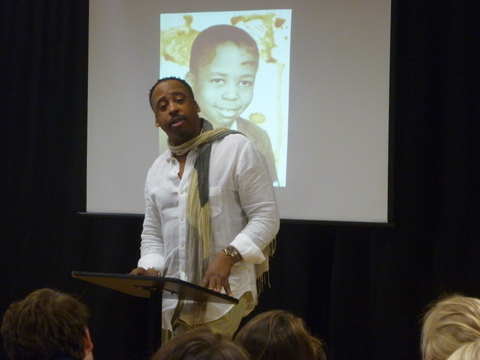 “Meet your tribe,” he exhorted the 6th and 7th grades. Not a false tribe, like a gang they had to conform to, but their “true tribe,” the group who shared the same passion for a subject that they did. Students seemed to hang on his words. His message to the kids stayed consisted that day about self-direction, finding one’s own way, never settling or giving up or feeling badly about coming from behind. Perhaps because that’s his story. He didn’t really find his way as an artist until his thirties. 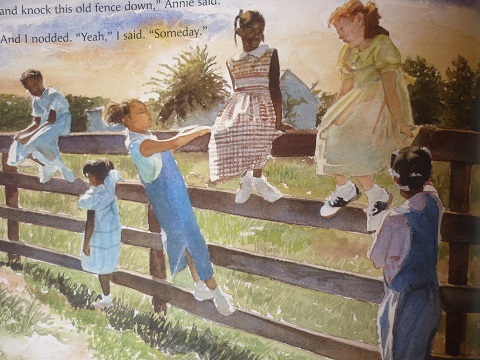 The children’s books came even later. Not one of his youthful experiences suggested the success he enjoys now in the arts and publishing. 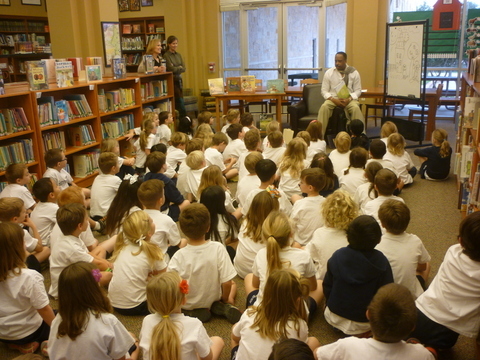 Lewis is quick to describe himself as an elementary grade under-achiever. Dyslexia made it hard to read or study and his clowning antics did a poor job of masking his lack of confidence in the classroom. He flunked the third grade. The problems with teachers continued through middle school. But Lewis credits a college professor uncle for getting — and keeping him in Saturday morning art classes, starting in the sixth grade. In those museum classes, under the tutelage of painter Clarence Wood, Lewis discovered drawing and painting. He found his way, eventually to voracious reading — nonfiction and literature. The arts became his passion and those who painted, his tribe. After high school, he pursued graphic design, illustration and art education at the Tyler School of Art at Temple University. Still the road was slow. He worked for many years in the public schools, first as a teacher’s assistant, later as an art teacher. 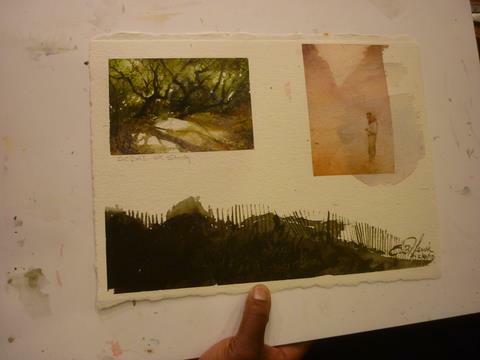 The watercolor work he did on weekends and late at night, while his family slept. So a long, roundabout journey of working quietly behind the scenes, perfecting his art. 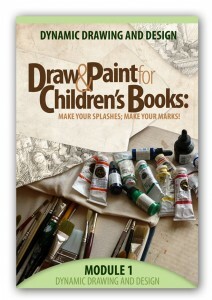 One day a children’s book artists’ agent, Jeff Dwyer contacted Lewis. 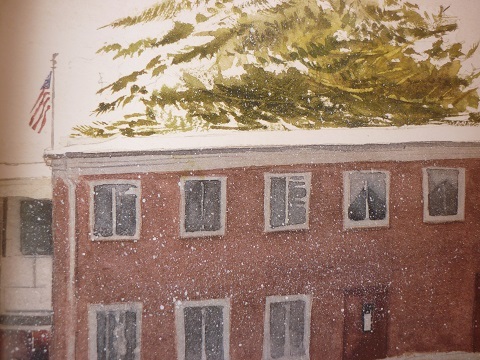 His agency partner Elizabeth O’Grady had read a feature about him in and seen his watercolors in The Artists Magazine. “Yes. 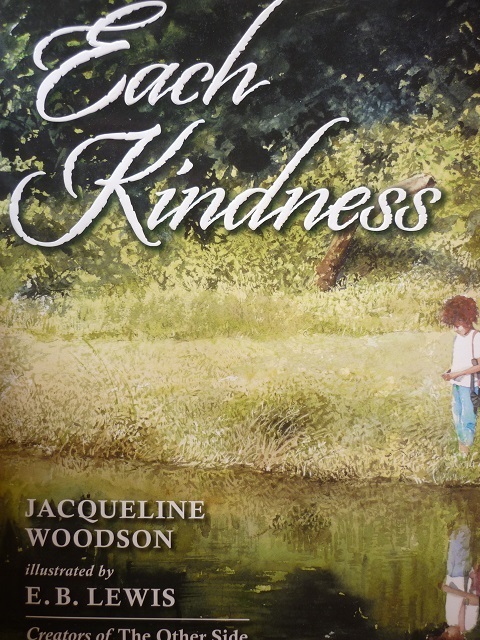 Have you looked at any children’s picture books lately?” Dwyer replied before tossing out some names — Jerry Pinkney, Barry Moser and Chris Van Allsburg — for Lewis to check out. The rest of the story you can find on the book blurbs and Lewis’s website. 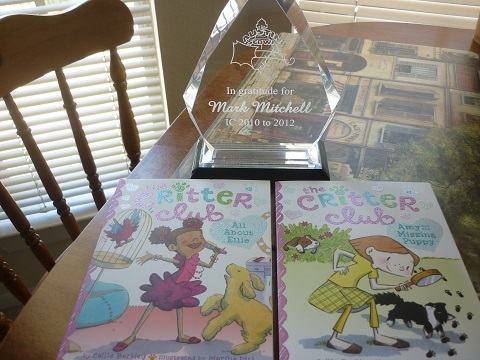 My award for completing a three year term as Austin SCBWI Illustrators Coordinator and special surprise that came with it — the first two books in The Critter Club series by Callie Barkley, illustrated by Marsha Riti, whom I met a few years ago in the children’s book illustration class I teach at AMOA/Arthouse Laguna Gloria. 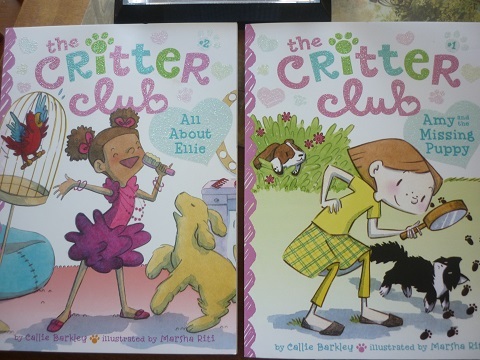 Austin SCBWI’s Marsha will illustrate the entire series being published by Little Simon, Simon and Schuster. Award winning author Cynthia Levinson of Austin SCBWI reads from her hit nonfiction children’s book “We’ve Got a Job”(Peachtree Publishers) about the 1963 Birmingham Children’s March. 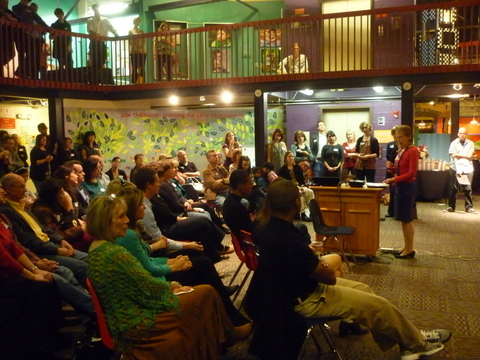 It was one of several readings and talks at the “Kick It Up a Notch” pre-conference Friday receptionat the Austin Children’s Museum. 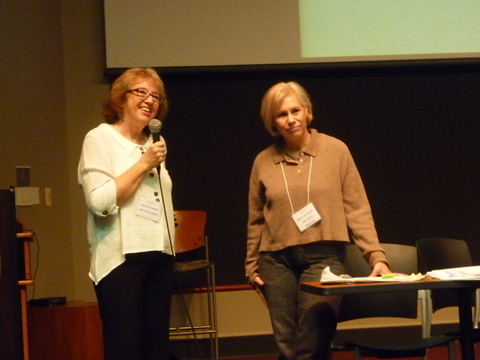 Picture Book author Shutta Crum and SCBWI Crystal Kite Award-winning illustrator Patrice Barton talk about their collaboration on the picture book “Mine!” (Knopf) at the Austin conference. 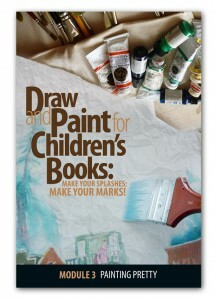 Students of the Make Your Splashes – Make Your Marks! 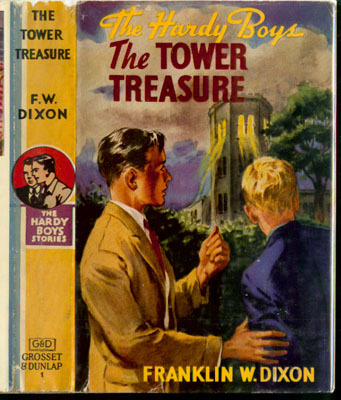 online course on children’s book illustration are busy re-designing covers for the first-ever Hardy Boys book or the first ever Nancy Drew mystery in a mock assignment given them by art director Giuseppe Castellano of Penguin/Grosset & Dunlap, which was the original publisher of both series. 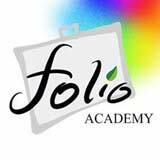 Students have until April 20 to complete their final art, following Castellano’s specifications. Many thanks to Marks and Splashes student Pooja Srinivas for digging up some of the original covers for class reference!